Camillo Rossotto starts his new job April 1. Fiat S.p.A. has appointed company veteran Camillo Rossotto group treasurer in the latest management shake-up under CEO Sergio Marchionne. 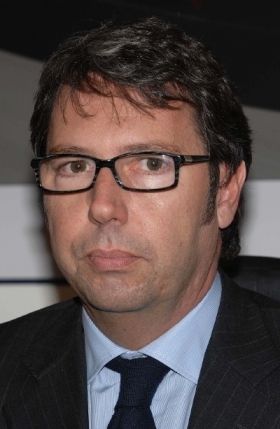 Starting April 1, Rossotto will replace Maurizio Francescatti who has decided to leave the company, Fiat said in a statement. Rossotto, 47, joined the Fiat Group in 1989 as part of the company's international corporate finance team. During his career he has worked for Fiat's finance arms in Germany, Brazil and the United States. Currently, Rossotto is CEO of FGA Capital, a 50-50 joint venture between Fiat Group Automobiles and Credit Agricole. Rossotto has a degree in political science from the University of Torino and an MBA from New York University. Chrysler completed its bankruptcy reorganization in June last year by selling most of its assets to a group led by Fiat, which took a 20 percent ownership in the U.S. automaker and full management control.